New Year is fast approaching. Have you planned any vacation to celebrate this New Year? If so, maybe you want to reconsider this after hearing about this offer. DeccanRummy.com will be conducting a New Year Leaderboard contest from Nov 1 – Dec 25 exclusively for our players. The top 3 players of the leaderboard will usher in The New Year in Pattaya, Thailand. It’s surreal, is it not? Six months back, we had a wonderful time in Phuket, this time we can promise you, even more, fun in Pattaya. Pattaya has been a dream destination for many travelers and features regularly in the itinerary of people who want to chill out for the New Year. As the saying goes, Pattaya is the city that never sleeps. Ringed with beautiful beaches, Pattaya is always a tourist’s dream destination. Also, not to forget the picturesque islands around Pattaya offering some spectacular visual delight. The town abounds with water sports activities because of its geography. If you’re someone who loves to explore water sport, there is a wide range to choose from – diving, snorkeling, scuba diving, windsurfing, boating, parasailing etc. Leaderboard 2018 – Pattaya calling! Aside from the trip, there are many other extraordinary prizes up for grabs. 15 players will be eligible for cash prizes with the top 3 players eligible for Thailand trip. From expensive iPhones to Gold Coins to Gift vouchers to Real cash prizes, there are lots of goodies that you can earn by participating in this leaderboard. The leaderboard will be updated on our website every 15 minutes. The only way to feature in the leaderboard is to play cash rummy games. 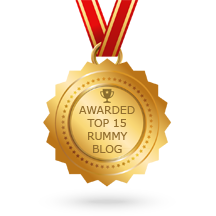 Play more cash rummy games and earn high leaderboard points. To be precise, playing higher stakes rummy games is the quickest way of earning leaderboard points. If you win the game, you get the extra cash; even if you lose the game you would still earn leaderboard points. So, it’s a win-win situation! Another thing uncanny thing about this contest is that you can never be sure of your place on the leaderboard. There are always players who will leapfrog others in the leaderboard. We are aggressively framing our team for the preparations for this mind-blowing event and we’re working hard every minute to make it a grand success. You can leave the preparation part with us and instead focus on the ways to lead the leaderboard. Remember there will always be players who would be vying for initial dominance. The initial lead would place in you a distinct advantage. If I were a player, I would like to have a solid lead right up in the front. Slender leads are very dangerous in this contest as you may lose hold of your spot. Players can check their current position in the leaderboard by clicking here. Always keep a close watch on your points and position for the reasons mentioned. Last year, we hosted a fantastic VIP party in Pattaya which was conducted in a lavish way and was very high on style quotient. The guests had unimaginable fun in the company of a bevy of stunningly attractive women at large. Some of the players who missed out on that trip regret to this day. This year we are leaving no stone unturned in our efforts to make this promotion exceptional and want more and more players to have a crack at the prize. Since our players never shy away from a competition, we expect the contest will be a fierce one. You don’t need to do anything extraordinary. Just keep playing as cash games and keep accumulating Leaderboard points. Stay tuned with us, we will be bringing you all the updates with regards to the leaderboard standings, preparations and also ground zero reports from the event. 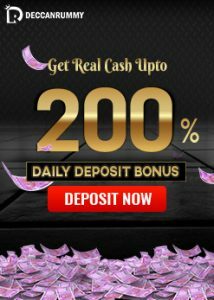 It’s a great time to be a player at DeccanRummy.com! We have been launching exceptional promotions and offers over the last few months. There’s a lot of good stuff that we are adding every month – some perma-fixtures, and others for that particular month. The response to all our promotion is what that motivates us to push further. What a swashbuckling year this year has been so far! It’s been one hell of a ride and there’s a flurry of exciting promotion headed your way! We guess this is a befitting promotion to conclude such an incredible fun-filled year. 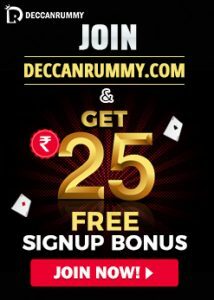 If you are some reading this and have not yet registered at DeccanRummy.com, now is the time! Jump in right away and register now. This is a spectacular, oncce-in-a-lifetime New Year party that you don’t want to miss!